Comments: This bamboo is one of the most beautiful. 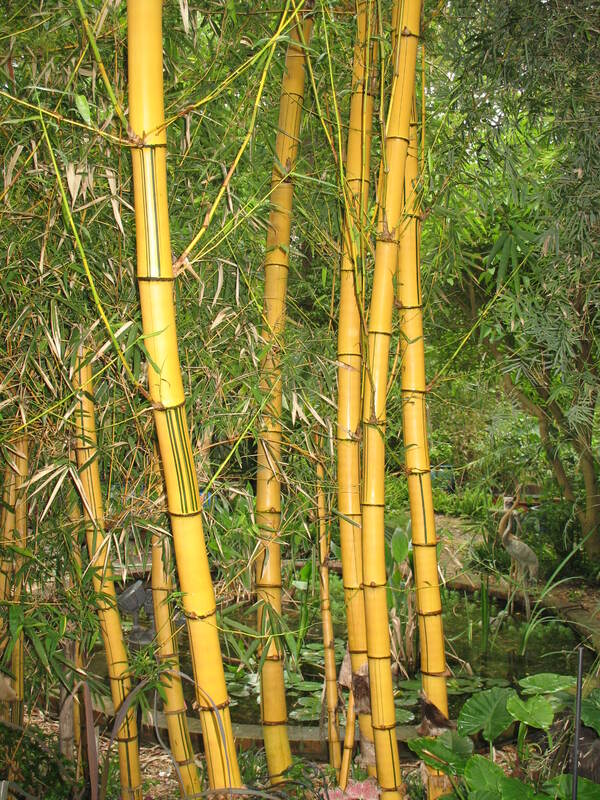 New culms are pea green in color and later turn golden yellow with a few random, vertical, green stripes. Makes a beautiful specimen plant in a container. Grows to a large size quickly and is a vigorous runner. It produces edible shoots.